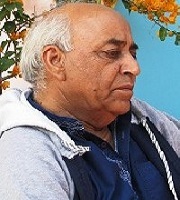 Sharing English language and literature with his students since 1973, Lalit Mohan Sharma has published novellas and poems in Hindi and English.P. Lal finds his poetry “exciting and competent from a great deal of Indian verse in English”.In November 1993, Sharma had a brief sojourn in IIAS,Shimla as an English poet. He has published research papers on authors like Saul Bellow, Arthur Miller, Anita Desai, Malamud and Ezekiel, and his fourth book of English poetry, Loud Whispers, was brought out by Books Plus this year. Having served as Principal at government colleges in Dharmshala and Hamirpur, and also as a Member on NAAC’s Peer Teams, Dr Sharma is now settled in Dharmshala, Himachal Pradesh.